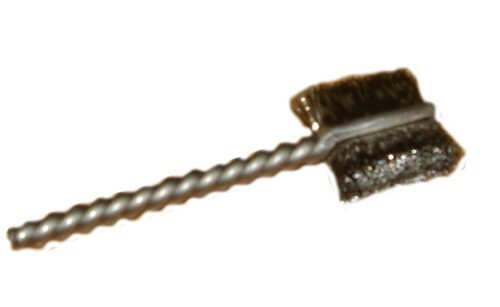 Stainless steel butterfly deburring brushes. 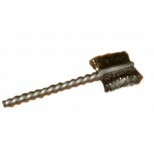 Densely filled butterfly deburring brushes are designed to deburr threaded holes after tapping and can be operated from a standard drill press or portable electic drill. Part must be secured with clamping to hold during cleaning.